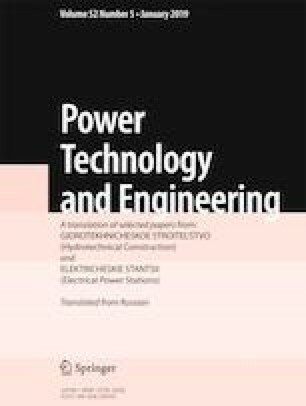 The increased vibration of the stators in TGV series turbogenerators with tangential elastic core suspension is examined. The existing repair options for vibration reduction are reviewed briefly. Results are presented from a theoretical study of the dependence of the dynamic properties of turbogenerator stators on the rigidity with which the core is fastened to the intermediate frame and the rigidity with which the housing is fastened to the foundation. Based on these results, an improved technology is proposed for reducing the stator core vibration. This technology is applied to a type TGV-300 turbogenerator with an unsatisfactory vibrational state of the stator. An analysis of vibration monitor data prior to the repairs and for the subsequent two years of operation showed that these actions made it possible to reduce and stabilize the vibration of the stator core and housing. The effectiveness of these measures depends substantially on their timely application. Translated from Élektricheskie Stantsii, No. 8, August 2018, pp. 37 – 46.